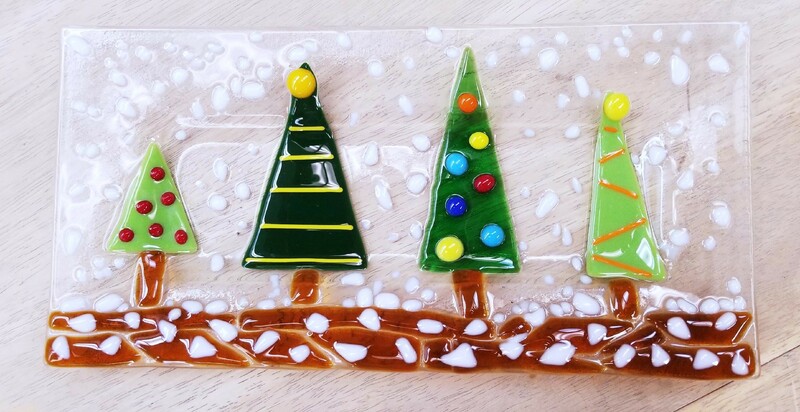 Join us at 6:00 this evening and make this adorable glass platter just in time for the holidays! The platter is 6×12 and $46. Completed glass will be fired asap and ready for pick up on Friday!! Reservations are a must!